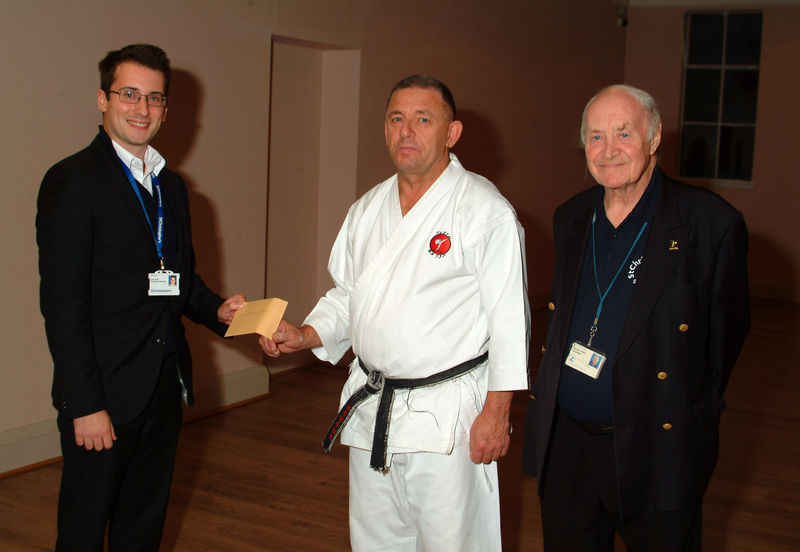 Beckenham Shotokan Karate Club has raised over £1,100 for The Royal Marsden and St Christopher’s Hospice charities after undertaking a sponsored Kata event at their Dojo in Beckenham. “They are causes close to our hearts and everyone knows someone who has been affected by Cancer,” said Senior Instructor and club founder Roger Fabri. 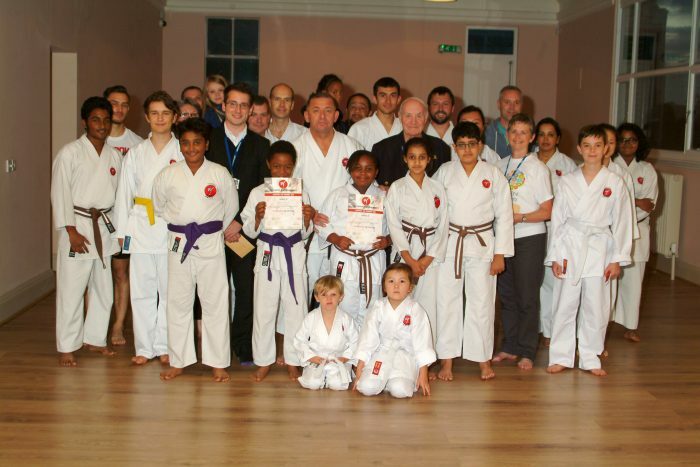 “I’m very proud of my students who ranged from 6 to over 60 for doing this challenging event where they had to perform detailed choreographed patterns of karate movements known as Kata’s and were sponsored for doing so”. Representatives from The Royal Marsden and St Christopher’s attended a Presentation Ceremony on Monday 14th September. Each Charity was given cheques for the money raised and students each received a certificate recognizing their achievements.